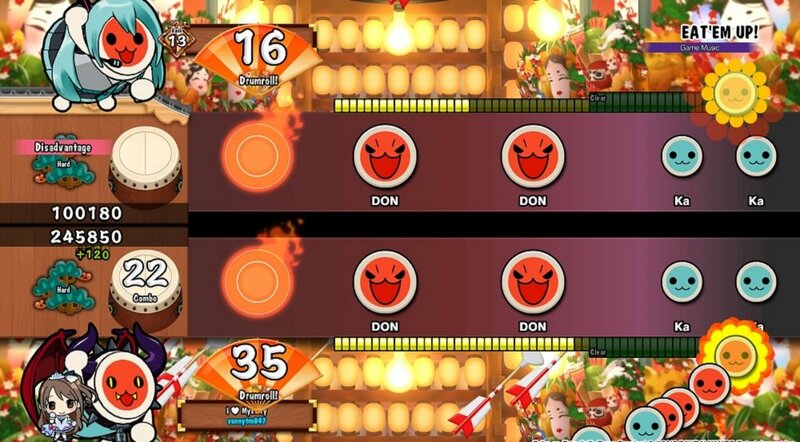 Review: Taiko no Tatsujin: Drum Session! It's hard being the drummer. Not only do you generally sit at the back of the stage, avoiding the spotlight and hidden behind a mass of metal, but you are, essentially, the key to the whole performance remaining tight. A guitarist can blow their solo, a singer can forget the odd line, but when the drummer loses themselves, everybody can fall apart. Oh, and you've got, physically and mentally, possibly the hardest, most tiring, and most expensive instrument to learn. 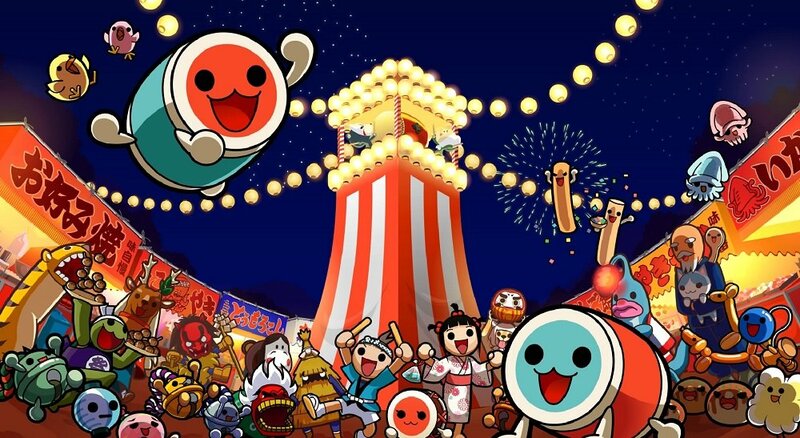 So thank the drumming gods that Namco Bandai's Taiko no Tatsujin: Drum Session! is little more than just mashing a single skin like a lunatic. Less Lars Ulrich and more Animal from the Muppets, Drum Session aims to allow even the most rhythm-free players the opportunity to mess around joyfully with that all-important backbeat. 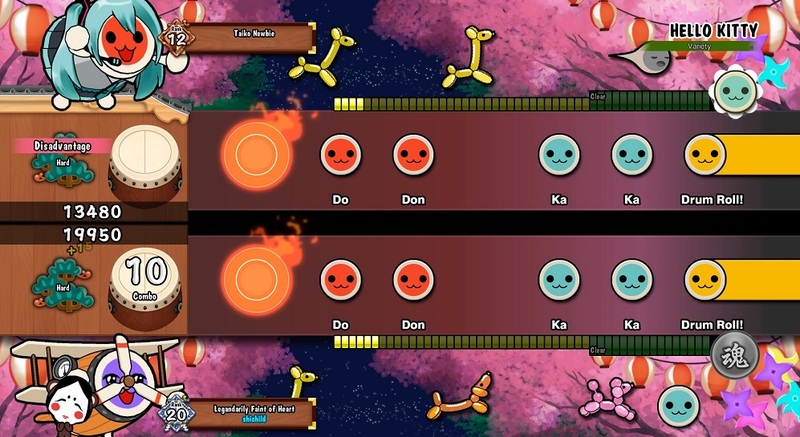 Taiko no Tatsujin: Drum Session, is the second of two Taiko games that launched last week, alongside Nintendo Switch release Taiko no Tatsujin: Drum 'n' Fun. But whereas the latter's focus is on mini-games and party modes, Drum Session's PS4 release is more focused on the core Taiko no Tatsujin experience. Drum Session's rhythm-action gameplay is very straightforward. 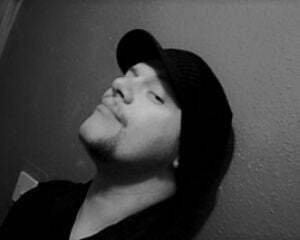 You bash along, on your drum controller or PS4 pad, in time to symbols that appear on a fast-moving on-screen track, ala Rock Band, Guitar Hero or any number of previous similar titles. The red symbols represent hitting the skin, the blue symbols require a tap on the rim. The larger symbols mean you strike with both sticks together, while extended yellow bars require players to hammer out a thunderous drum roll. Players score points for perfect timing, as well as for not dropping a beat, with extended combos making for major league scores. There is a large variety of songs to choose from, ranging in difficulty, and you can compete against a friend or against other player's "ghosts" online. That's pretty much it. Drum Session is simple in design and fun in execution. Players can play through the games' catalogue of music tracks, ranging from royalty-free classical music to J-Pop and even some anime and video game themes, (even the Japanese version of Frozen's earworm "Let it Go" gets a look in). They're enjoyable - and sometimes bizarre - tracks, but to the majority of westerners it's a jukebox of unknown tunes, which can occasionally make getting into the spirit of a song a little tough. Special guests such as Hello Kitty and Vocaloid's Hatsune Miku join in the fun with cameo appearances. The aforementioned online mode allows players to work their way up a ranking ladder by challenging other players in drum-to-drum combat. The battles aren't played out in real-time, with the player essentially playing against a recorded replay of other Drum Session players, but this does mean there's no hanging about waiting for opponents to connect. When engaged with some of the harder tunes, head-to-head, it can be a pretty intense experience, but its still good fun. As you complete challenges via the in-game "Bingo card" system, you earn Don coins which can then be used to unlock mystery prizes. These aesthetics include profile decoration and online messages, to a range of clothing, designs and accessories to customise your personal Don or Katsu Wada (the adorable drum characters who dance along with your songs). In fact, character is a big part of the joy of Taiko no Tatsujin and, as you find your stride during gameplay, all sorts of wild and wacky kawaii creatures leap onto the screen to party along with you. Even though this is just for atmosphere, it's delightful, weird and never fails to raise a smile. Outside of selecting quickplay songs and challenging online ghosts, there's little more Drum Session has to offer, with none of the mini-games available in its Switch brethren. In fact, due to the Switch's Joy-Con doubling up as an air drumkit, it makes the drum peripheral an absolute must for the PS4 version, and I'd strongly advise against picking up the game on the Sony platform without it. The drum peripheral is available in Japan and Europe, but Statesiders will unfortunately have to go down the import route. Mileage with rhythm games usually comes down to the instrument you use and the catalogue of tunes on offer. In both regards, Drum Session is quirky, it has a drum that isn't like your standard drum kit, and a catalogue of music that will be mostly unrecognisable to the market outside of Japan. But the gameplay itself is solid, exciting and a lot of fun. I do wish there was more content on offer. The two modes are essentially Play Locally or Play Against a Ghost, and there's gonna be a lot of change to shell out if you and a pal want a drum each. If you're looking to play with friends, it would work out easier and cheaper to pick up Drum 'n' Fun for the Switch (plus you get some bonus Nintendo tracks). Taiko no Tatsujin: Drum Session achieves its goal of being incredibly simplistic but wonderfully addictive. Painted in fun and adorable visuals and peppered with unique tunes, it's a worthy addition to the canon of enjoyable rhythm-action titles. But heed should be paid to the potential cost of picking up a drum peripheral or two, as without all the manic arm-waving and ground-shaking, Drum Session may prove a harder sell for many wannabe tub-thumpers.